Patch-ability is all the rage these days. There’s the rack modular scene, of course. But then we’re increasingly seeing patch points on desktop synths and keyboards, too. The idea is, you can create different modulation effects and a wider range of sounds by changing the routing of signal through the instrument. 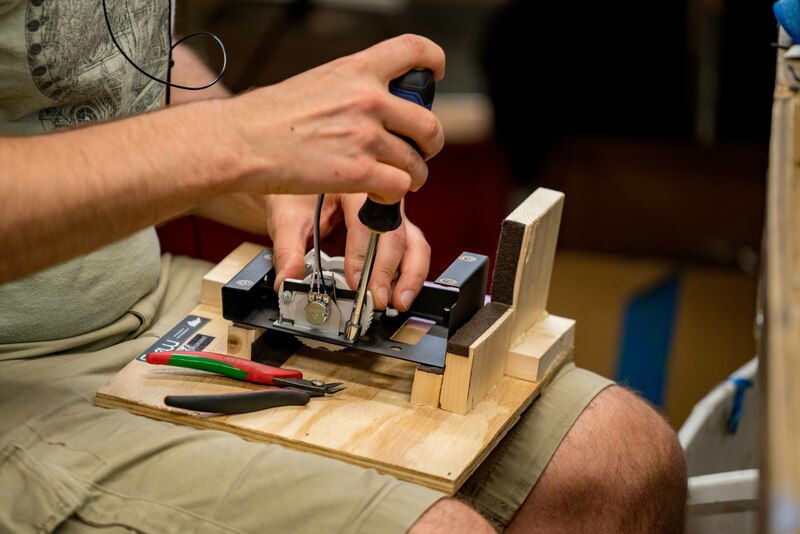 And while that’s possible on some electronic instruments using switches or menus or other features, here you just plug a cable from one point to another. The Grandmother moves the patch points out of the big matrix found on the side of the Mother-32 and DFAM, and distributes them across the hardware. That makes it a bit easier to follow where signal flow is – though you’ll also need longer cables. That makes a really interesting instrument, though I think it’s worth noting that some of the competition comes from Moog itself – the SUB PHATTY has a pretty powerful architecture for roughly the same price, and while it lacks those patch points, still has some flexibility for routing modulation and analog I/O. It also has patch storage. In designing a keyboard instrument, we have more panel space than we do in the pure eurorack format (where space is always a consideration), giving us more room for the patch points. The patch point locations also make connecting cables to other devices, like Mother-32, DFAM or Eurorack much more convenient. Having said that; Grandmother can do extremely complex things, particularly through patching. 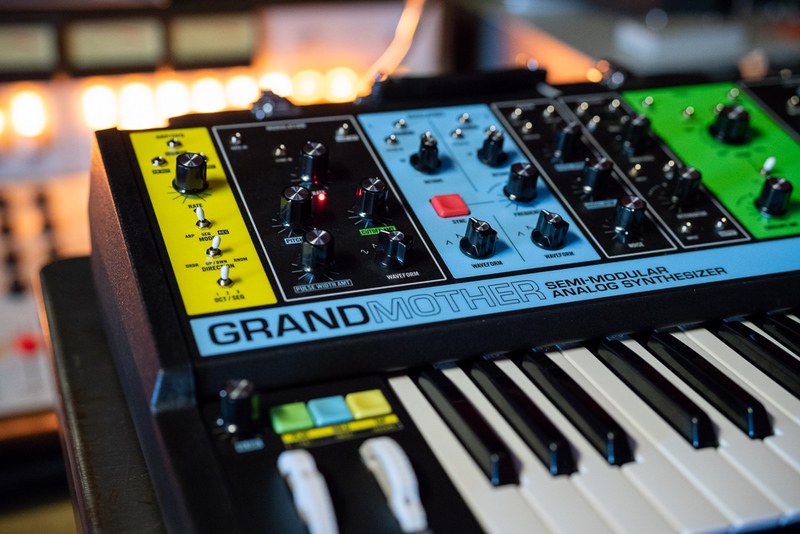 For seasoned synthesists, all normalizations can be broken and Grandmother can function as a fully modular instrument. The Grandmother can be a modular gateway. 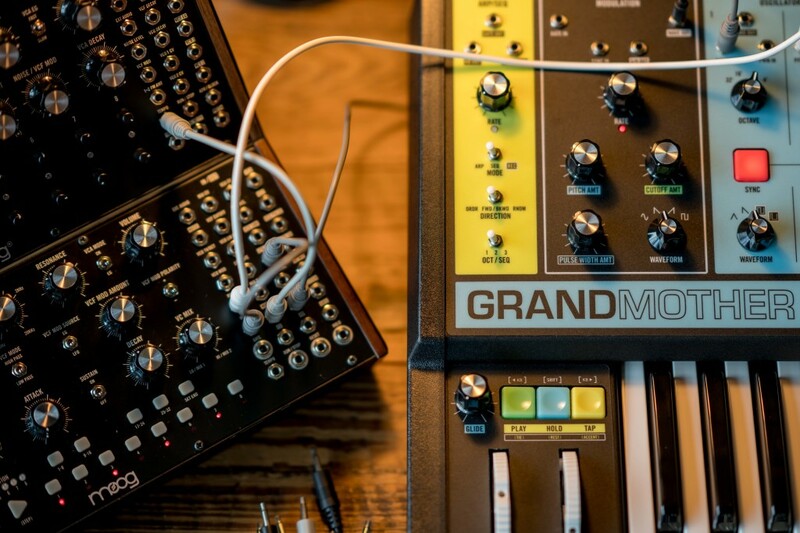 You can patch the Grandmother, DFAM, and Mother-32 in various combinations – or it can be a gateway to Eurorack. About those colors. 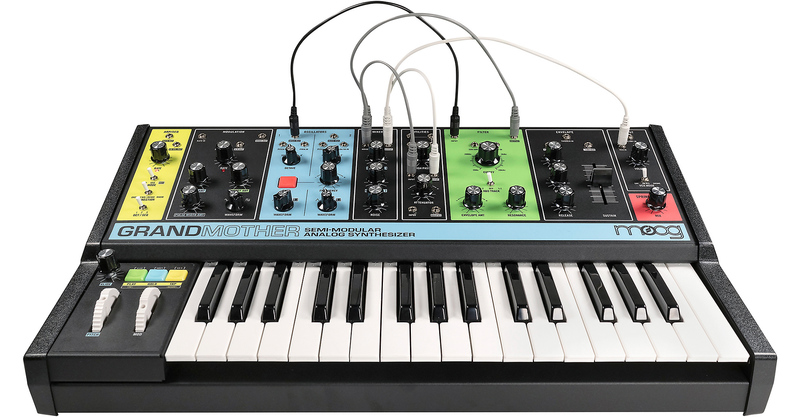 Moog will definitely get your attention with that color coding. It’s obviously partly there for show, partly to make it obvious that the different sections have different functions. And back to the original Minimoog, our modern subtractive synths are essentially all derived from combinations of modules. To me, the Grandmother really has the most in common with the Sonic Six. It used just one color, but the color overlay was meant to suggest the modular structure beneath. Built in the USA. Yep, these do get put together in Moog’s factory in North Carolina. 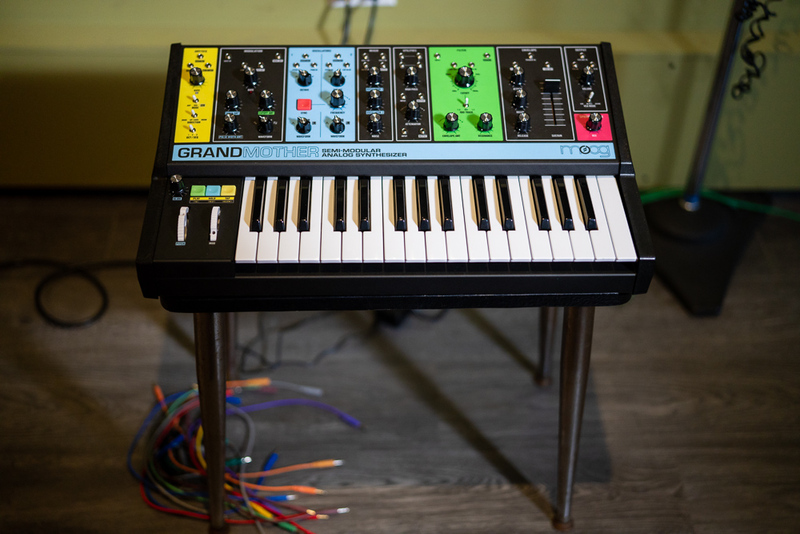 For those near Durham, NC this week – Guitar Center will have Grandmother synthesizers available for play and purchase starting 10:00am this Thursday at the Moog Pop Up Factory (free and open to the public), where visitors can also watch as we live build the new instrument on site. 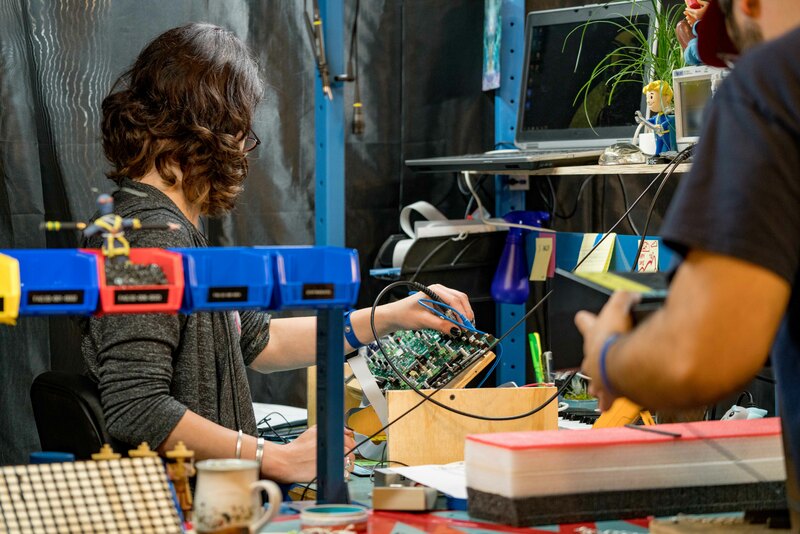 Then at 3:00 on Thursday, Moogfest attendees can hear Grandmother used in a long-form Moog drone performance guided by Nick Hook and Gareth Jones of Spiritual Friendship.